One of the greatest celebrations all season is upon us - Oktoberfest! How did this all start, you wonder? Well, this long-standing fall tradition is steeped in history. On October 12, 1810, the Bavarian Crown Prince, Ludwig, married Princess Therese von Sachsen-Hildburghausen (“Terri” to her friends). Following the ceremony, there was a large “fest” held in front of the Sendlinger Tor, one of the gates leading to Munich. Everyone had such a great time that they decided to make it an annual celebration. In 1818, the local breweries got involved and tourists from all of Europe began attending. Organizers soon noticed that weather in September was much nicer and more predictable than October. 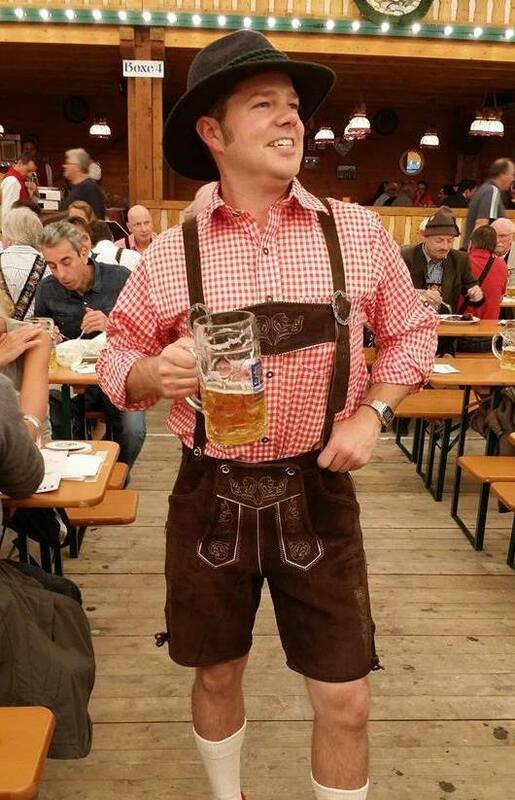 The dates of the celebration were permanently moved to make it more appealing… hence, Oktoberfest in September. In 2014, from Maui to Italy, it’s hard to visit a property in the Timbers Resorts portfolio and not find a local Oktoberfest celebration. Visit The Sebastian - Vail and experience an authentic Bavarian-themed Oktoberfest over two weekends, September 5 – 7 and 12 – 14. The second weekend’s activities take place in Vail Village, right in The Sebastian’s backyard. Bratwurst eating contests, stein lifting, keg bowling, music, dancing, yodeling, alpenhorn blowing, and authentic Bavarian food and beverages including pretzels and, of course, beer. One Steamboat Place joins Steamboat Springs, Colo., in celebrating OktoberWest, a Western adaptation of the Bavarian fest as all of the beers and food come from the Rocky Mountains. OktoberWest is held on September 19 & 20, starting with Friday night’s Suds N Grub Stroll. Patrons take a walking tour down Main Street and along the beautiful Yampa River to mingle, nibble, and sample draft beers at a variety of local restaurants. Saturday’s Beer Garden at the base of the mountain features more than 30 Colorado Breweries and the music of Grammy-nominated artist, Shemekia Copeland. If you’re lucky enough to be in Tuscany and visiting Castello di Casole, you are only a six-hour car ride away from Munich – or a one-hour flight from Florence. The original Oktoberfest starts on Saturday, September 20, and goes until October 5. Many Northern Italians make the journey every fall, joining seven million of their closest friends for the festivities. The Mayor of Munich taps the first keg at noon on Saturday in the Schottenhamel Tent – a highly anticipated rite of passage as no one's permitted to have so much as a sip of their own until the ceremony is complete. No matter where in "the Timbers World" this year’s Oktoberfest finds you, raise a stein to King Ludwig & Queen Terri and utter a heartfelt toast of “thanks” for their royal wedding and the 204-year celebration that has followed.